Peru wears its ancient cultures wrapped around in layers, like one of the mummified bodies so well preserved by the nitrates of its deserts. After his acclaimed book on the Incas, The White Rock, Hugh Thomson unwraps those layers to show how civilisation emerged so early and so spectacularly in this toughest and most arid of terrains. Many of the extraordinary cultures of Ancient Peru, from the lines of Nasca to the temple-cult of Chavín, buried in the mountains, and the great pyramids of the coast, have only started to give up their secrets and antiquity in just the last few years. Hugh Thomson has been at the forefront of some of these discoveries himself, having made headlines with his work near Machu Picchu. 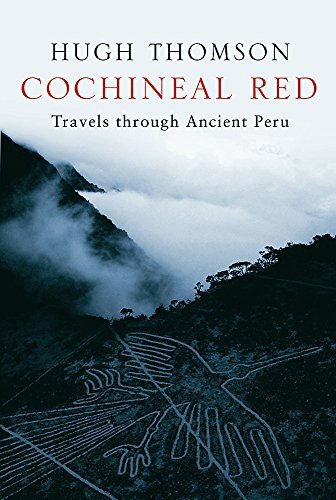 Now he takes the reader on a journey back from the world of the Incas to the first dawn of Andean civilisation, to give an immensely personal and accessible guide to the wonders that have been revealed.